Following a recent trend, the Boston Red Sox are close to a deal to lock up lefty ace Chris Sale before he can become a free agent, according to multiple reports. The deal is likely to be in the five-year, $150 million range, according to ESPN's Jeff Passan. 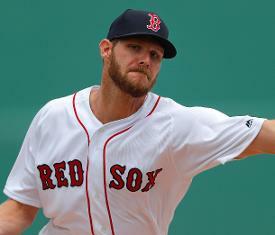 Sale, who turns 30 on March 30, is scheduled to make $15 million in 2019, the final season under a team-friendly five-year, $32.5 million deal he signed with the White Sox in 2013 that included two club options. Red Sox chairman Tom Werner said in February that the team had opened discussions on signing Sale to a long-term deal.